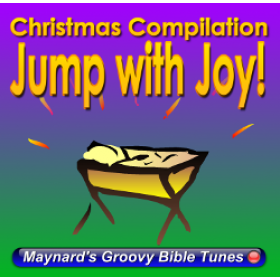 The backing track (instrumental) for the song “Let's Jump with Joy” as an MP3 music file. Download the backing track for "Let's Jump with Joy" (instrumental track: just instruments, no singers) as a high quality 320kbps MP3 file. Compatible with iPods, iPhones, Android phones, MP3 players etc. Click Here to hear "Let's Jump with Joy" on the Jukebox.